I thoroughly enjoyed the book “Life on the Edge”, by McFadden and Al-Khalili. I especially enjoyed renewing my amateur relationship with Quantum Physics. 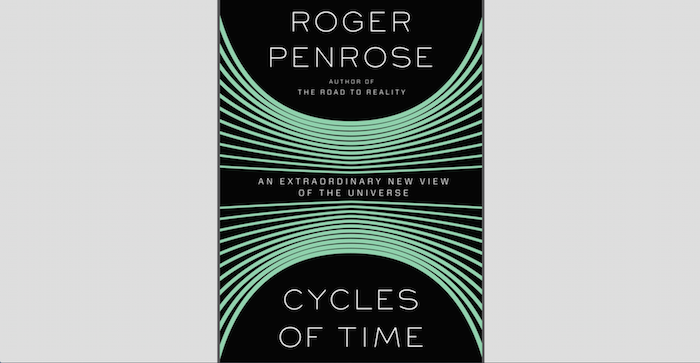 I therefore decided to choose another science book, and selected “Cycles of Time” by world renown physicist Roger Penrose. Penrose is a brilliant scientist, and has made very significant contributions to both physics and cosmology, having worked closely with modern pioneers such as Stephen Hawking. I must confess, however, that I struggled terribly at times to comprehend and appreciate the science which Penrose was presenting. Whereas “Life on the Edge” was clearly written for the layman science enthusiast, “Cycles of Time” took a much more scientifically rigorous approach. Penrose invested many pages and much effort to both explain and mathematically defend his hypotheses. Optimistically, I may have been able to both understand and appreciate this approach 30+ years ago, when both my physics and math skills were at their peak. Presently, I simply found myself overwhelmed and overburdened trying to struggle through difficult and rather dry mathematical analyses. I found this rather unfortunate, because at its core, Penrose actually was exploring some very interesting concepts and presenting some leading edge insights into the current theories of both the origin of our universe and its likely demise. Fundamental to the book, serving as almost the heartbeat of the scientific narrative, is the Second Law of Thermodynamics, which basically states that entropy always increases. Entropy is a measure of order of a system. Penrose did a good job of introducing the concept of entropy, by using a bucket containing red and blue paint. Initially, the red and blue paint are separate and distinct, but stirring the paint will result on the mixing of the red and blue paint, the result being a mixture of pigments which will appear purple. Why can’t the paint be “unstirred?” It is the Second Law of Thermodynamics which requires that entropy flows naturally only from order (red and blue) to disorder (purple). Yes, the purple paint could theoretically be separated or sorted. However, this would require energy input, which would effectively mean that by decreasing the entropy of the paint (increasing the order by sorting the paint molecules into red and blue), the total entropy of the system, which would include the source of energy such as hydrocarbon fuel employed to sort the paint, would still have a net increase. The decreased entropy of the red and blue paint would be accompanied by an increase in entropy of the energy source(s), resulting in an overall increase in system entropy. Penrose uses the Second Law of Thermodynamics to visit the origin of the universe, and to propose an alternate to the “Big Bang” theory. He also explores the end of the universe, as the total entropy of the universe becomes totally disordered as black holes, the greatest source of entropy in the universe, evaporate through “Hawking” radiation. I persevered through the entire book, but at times I did skim and skip through some of the most technically challenging sections. I frequently found myself academically inadequate to fully understand and appreciate Penrose’s scientific concepts and explanations. I regretfully cannot recommend “Cycles of Time” to any armchair science enthusiasts. Readers who have a high degree of physics and mathematical literacy will probably enjoy this book, but I doubt that any of these science experts follow my humble blog posts. I have long had an amateur interest in physics, and in the past couple of years I have read several excellent books on recent developments in Modern Physics, including Relativistic Mechanics (the study of the very large) and Quantum Mechanics (the study of the very small). 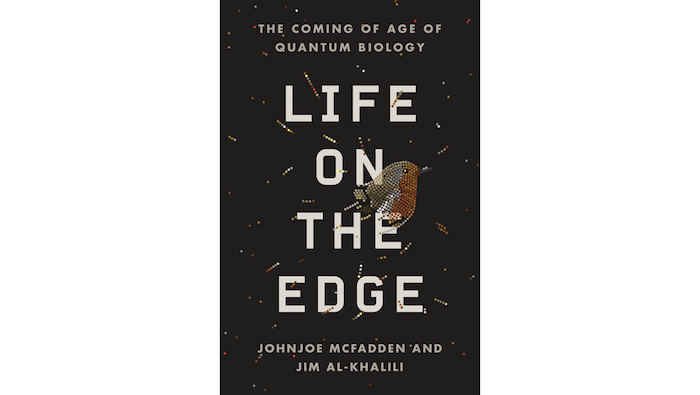 A few weeks ago I was fortunate to come across a newly released book “Life on the Edge”, by Johnjoe McFadden and Jim al-Khalili. 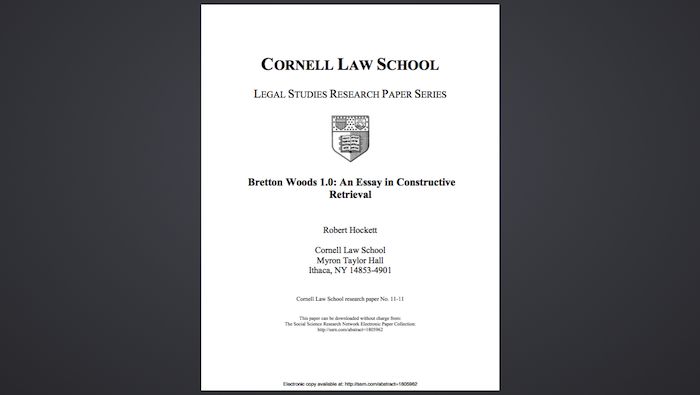 Though the book is copyright 2014, it was just released on 28 July 2015 in both hardcopy and e-book formats. Though it has been more than 30 years since I studied physics in university, I have periodically refreshed my basic physics knowledge by reading a variety of relevant books and articles on the subject. However, I have not been very diligent at refreshing my basic knowledge of biology. This book therefore represented a great opportunity for me to again visit Quantum Mechanics, and simultaneously reconnect with the science of Biology. I believe that McFadden and Al-Khalili have jointly authored one of the most easily understood and engaging science books that I have come across. I was especially impressed by the innovative and patient way that they introduced and explained key concepts in Quantum Mechanics that quite frankly nearly defy explanation, easy or otherwise. Their explanation of Quantum Waves, in which a single quantum particle can exist at multiple locations simultaneously, and can exhibit wave characteristics, simultaneously passing through two slits (the classic two slit quantum experiment), and then interfere with itself to create an interference pattern, was simply fascinating. No less fascinating were the concepts of Quantum Tunneling, Quantum Spin including the ability of quantum particles to spin in two directions simultaneously, and “spooky” Quantum Entanglement. McFadden and Al-Khalili were no less creative with their descriptions of the biological world. They open their book with an engaging story of the migration of a European Robin, using “magnetoreception” to detect the orientation of the earth’s magnetic field to navigate. They proceed to describe and explain key biological concepts such as DNA, RNA, proteins including collagen, enzymes (the engines of life), catalytic chemistry such as that performed by enzymes, cellular respiration and mitochondria, photosynthesis, etc. Each biological concept was patiently explained in precise but easy to digest (pun intended) language. The authors then dig deeper into key biological activities such as photosynthesis, enzyme catalytic reactions, respiration, the biological process of smell, magnetoreception, genetic replication, and the operation of ion channels in neuron firing, and explained how each of these processes depends upon the unique features of quantum mechanics to function. Ample experimental evidence from this brand new area of Quantum Biological research is provided to support the assertions made by the authors. Footnotes, endnotes, and a comprehensive index are provided for the serious scientifically minded reader or researcher. The authors also explain how biological systems have evolved to create cellular environments which are conducive to coherent quantum mechanics. Today’s physicists are only able to experimentally demonstrate coherent quantum mechanics under very special laboratory conditions including temperatures very close to absolute zero, to prevent environmental “noise” from disrupting very sensitive quantum behavior and causing quantum particles to de-cohere back to their classical mechanical behavior. The biological world uses both “white noise” and “colored noise” resonant molecular vibrations to enable coherent quantum behavior at biology friendly temperatures. This is a great example of physicists learning secrets from biology, which one day soon may enable amazing quantum computers with almost unimaginable computing power. As noted by the authors, “the Nobel Prize–winning physicist Richard Feynman is credited with insisting that ‘what we can’t make, we don’t understand.’ By this definition, we do not understand life because we have not yet managed to make it.” After reading this book, I firmly believe that, thanks to cross-disciplinary scientific cooperation, we are closer than ever to truly understanding what is life and how it works. The author’s love of scientific discovery, and deep belief in cross-disciplinary cooperation and sharing, shines through in this book. At times the book almost achieved a “techno-thriller” type of page-turning suspense. At other times, beautifully crafted descriptions of nature created a deep appreciation for the amazing natural world around us. If you have any interest in science, I highly recommend this book. Don’t be intimidated by the exotic and brain-bending nature of Quantum Mechanics, or the incredible complexity of biological processes. McFadden and Al-Khalili are excellent and patient guides to host this amazing journey of discovery and understanding. 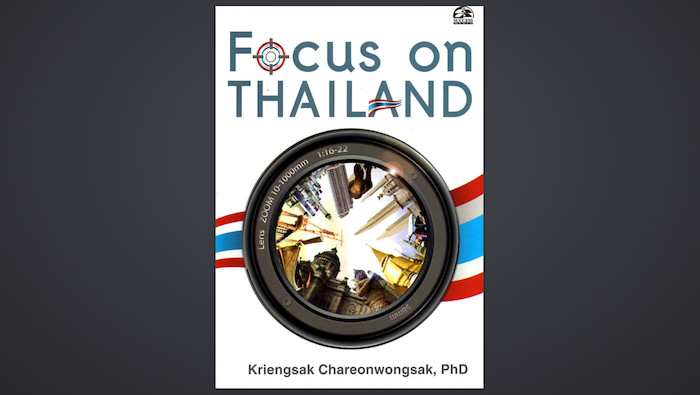 I thoroughly enjoyed reading Dr. Kriengsak’s book “Focus on Thailand” (published April 2013). Dr. Kriengsak is a prolific author, having written over 4,000 newspaper and magazine articles on a wide variety of issues. Many of his articles focus on public policy and development issues. Dr. Kriengsak has also authored over 200 books and has presented more than 500 academic papers at international conferences. This book is a compilation of twenty newspaper articles which Dr. Kriengsak published during the period 2010 through 2012. I was both surprised and pleased to see that nearly all of these articles, though several years old now, still contain insights and wisdom which are relevant to Thailand today. I would suggest that history is the best judge of opinions and observations, and I find that Dr. Kriengsak’s writings still mostly ring true, despite the very significant economic and political changes which Thailand has witnessed since the publication of his articles and this book. The twenty articles presented in “Focus on Thailand” cover a broad spectrum of Thailand’s issues and opportunities. Dr. Kriengsak skillfully uses his background as a PhD Economist and his training as a Master of Public Administration, along with his years of experience as a Thai Member of Parliament (MP), as an advisor to a Thai Prime Minister, and his experiences serving on national and international committees dealing with issues such as Labor, Social Welfare, Human Rights, and Foreign Affairs, to offer well balanced comments and recommendations to address pressing economic, social, and political problems facing Thailand. Topics addressed by Dr. Kriengsak include populist policies, privatization of state-owned enterprises, corporate income tax reductions, nationwide minimum wage rate policy, welfare systems for the elderly, water management, conflict resolution in Thailand, Thailand competitiveness and readiness to join the AEC, and National Branding. On 11 May 2015 I had the privilege of attending the Thai IOD special event “Dhamma Talk on Corporate Governance”. The keynote speaker was a Buddhist Monk, Ajahn Brahmavasmo Mahathera, commonly known as Ajahn Brahm. Ajahn is a title approximately equivalent to “Professor”. I found Ajahn Brahm’s presentation and discussion to be enjoyable, entertaining, and enlightening. He is a gifted speaker, clearly very intelligent and well versed in Buddhist philosophy and wisdom, and also very outgoing and engaging. During his presentation I kept regretting that I had come unprepared to take notes, as he had shared so many valuable insights on enlightened leadership. 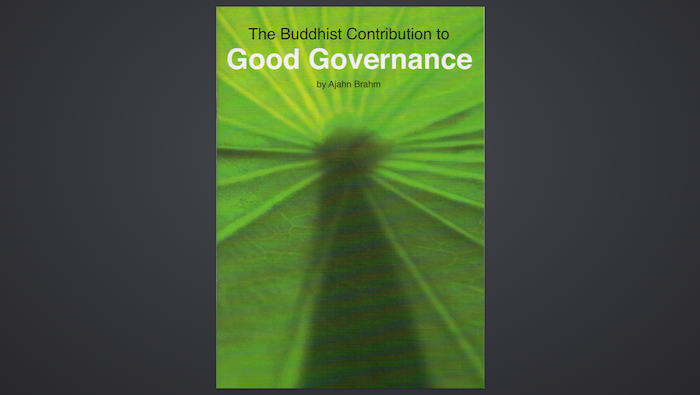 Fortunately, Ajahn Brahm’s insights into Buddhist Governance have been published in a delightful short book format “The Buddhist Contribution to Good Governance”. The book, which is only 29 pages long, summarizes the Buddhist contributions to good governance, based on the Buddhist monastic code and other Buddhist principles, for three modern categories of governance: Leadership Skills, Decision Making, and Problem Solving. Ajahn Brahm discussed Leading by Example, Leadership with Authority, and Leadership through Kindness. I was especially interested in the three types of authority: Conferred Authority, Inherent Authority, and Assumed Authority. Conferred authority (elected to govern) and Inherent authority (merits authority through superior knowledge or abilities) are the only legitimate forms of authority. Assumed authority (governance seized through force or contrivance) lacks legitimacy and is therefore always unstable. It is a core responsibility of a leader to make decisions. Ajahn Brahm explained the Buddha’s teachings concerning decision-making, to ensure that one is not acting out of self interest, ill will, delusion, or fear. He explores the details of each type of decision-making fault, and offered guidance to avoid these traps. Finally, Ajahn Brahm provided guidance to be a wise problem-solver, by giving feedback, taking feedback, and creating a meaningful agenda. Ajahn Brahm describes the Buddhist Sangha as the “oldest multinational corporation in the world”, and that he is therefore the “Managing Director” of the Bodhinyana Monastery in Perth and the “CEO” of the Buddhist Society of Western Australia. As I was reading his book, and previously when I listened to his presentation to the Thai IOD, I was intrigued and impressed with his ability to bridge the gap between the spiritual and philosophical world of the Lord Buddha and the secular world of Corporate Governance. I am convinced that a modern business leader or manager should definitely add these tools to his or her leadership toolbox, and to use them frequently and wisely. Ajahn Brahm was born in London in 1951, received a bachelor’s degree in Theoretical Physics from Cambridge University, and became a high school teacher. In 1974 he came to Thailand and was ordained as a Buddhist Monk at Wat Saket. He subsequently spent nine years studying and training in the forest meditation tradition under the Venerable Ajahn Chah. In 1983 Ajahn Brahm was invited to help establish a Buddhist forest monastery near Perth, Western Australia. Today he is the Abbot of Bodhinyana Monastery in Serpentine, Western Australia, in addition to holding several other spiritual leadership positions in Buddhist societies in Australia and Singapore. It is not very often that I have the privilege of reading a book which completely changes my perspective on some key topic. 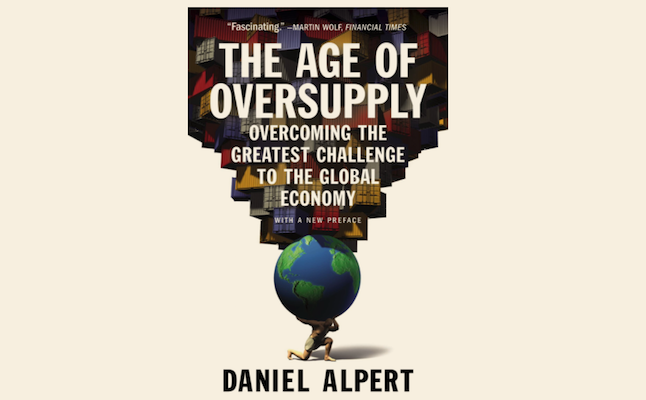 Daniel Alpert’s 2013 book “The Age of Oversupply” has managed to do just that. The root of this oversupply is in the historic opening up of the former Soviet states, the Peoples Republic of China, and India to the global market. This has effectively added three billion people and trillions of dollars of wealth onto the world scene. The global economy has never experienced such an “earth-shattering” change in such a short period of time. Alpert does a great job of introducing and explaining many complicated macroeconomic concepts. He provides a great deal of evidence to support his observations and opinions. Overall, I found his book to be very interesting, worthwhile, and thought provoking. Highly recommended reading!